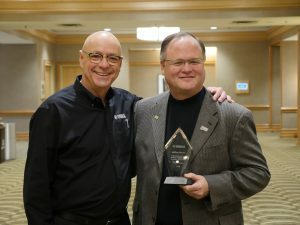 Jeff Moore, dean of the UCF College of Arts and Humanities, was awarded the Yamaha Legacy Education Award at the 2018 Percussive Arts Society (PAS) International Convention, one of the largest drum and percussion events in the world. The award is given once a year by the Yamaha Corporation of America to individuals who are considered legendary in their service to and effect upon music education. As dean of the college, Moore has done plenty to advance UCF’s music education programs, from helping to create UCF Celebrates the Arts to receiving national accreditation for the music department. He has composed and performed as a percussionist across the country. Along with his extensive music and teaching experience, he also serves on several nonprofit boards and committees for the arts and serves on the PAS Board of Advisors. “He deserves this award and so much more,” said Wittmann. Moore has joined the ranks of other luminaries in the music education field who have received the honor, such as James Campbell, Dave Samuels and Dave Weckl. The other recipient this year was David Stanoch. 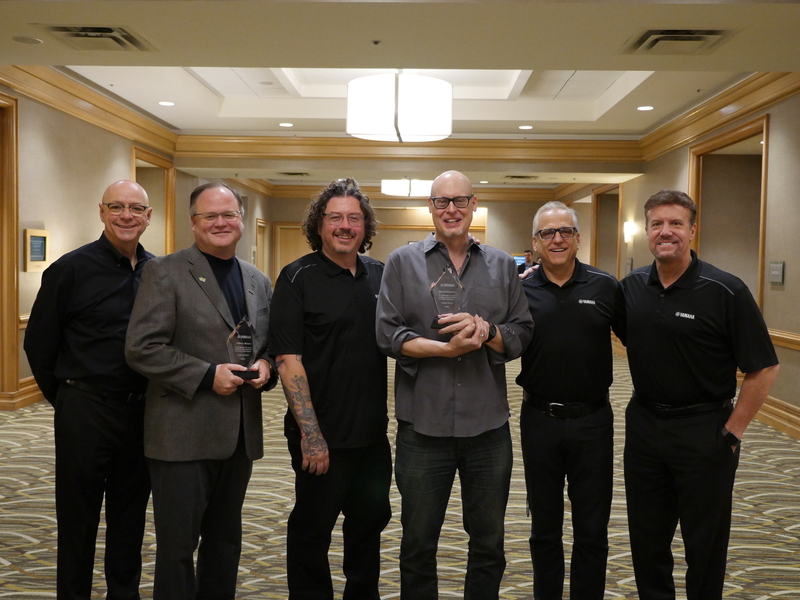 From left to right: John Wittmann, Yamaha; Jeffrey Moore, Award Recipient; Greg Crane, Yamaha; David Stanoch, Award Recipient; David Jewell, Yamaha; Steven Fisher, Yamaha.